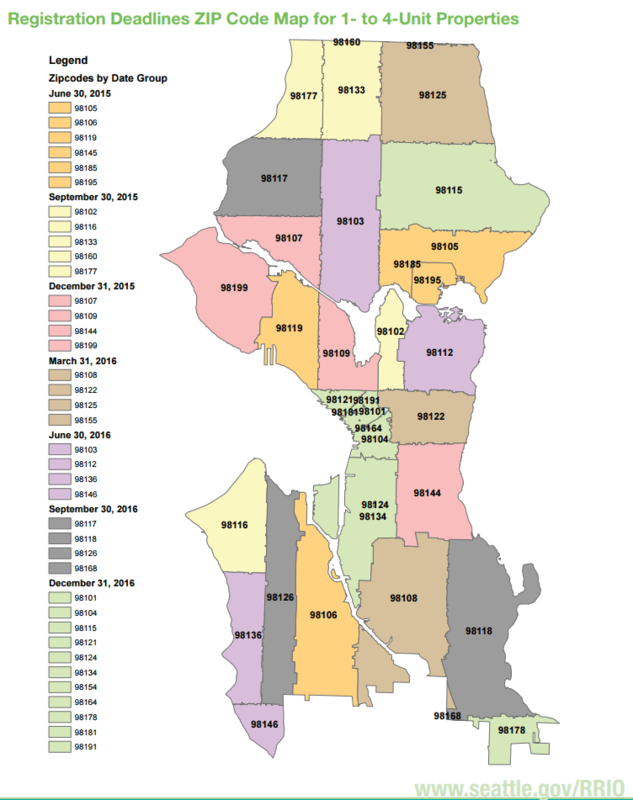 If you own a 1-4 unit rental home in Seattle, the deadline to have it registered is determined by the zip code the property is located in. All rental properties will be registered by 2016. The first zip codes that are due to have 1-4 unit rentals registered are due starting next month (June 30, 2015) and the penalties are nothing to sneeze at. Registration cost $175 for a single unit rental home (slightly higher fees for additional units) and must be renewed every five years. When a property that has been registered as a rental has been sold to a new owner, the new owner has 60 days to update the registration. The potential late fees for not registering a rental property in time are a steep $150 per day for the first 10 days and then $500 a day until the property is registered. Ouch!! Once the City approves the registration, a copy of the registration must be displayed in the rental property. The City of Seattle requires an inspection by either a City inspector or a registered rental housing inspector at least every ten years. The inspection mainly addresses basic safety and health issues. Here is the checklist that will be used by the inspectors. If you use the City inspector, the inspection fee starts at $130. I remember hearing about the ordinance a while ago, however, I didn’t realize that it would impact those who own one rental property in Seattle, like we currently do. We only learned about this when we accidentally opened mail that came to our home about this program. If you know of anyone who has a rental property located in Seattle, please share this information with them. For more information, or to register your rental located in the City of Seattle, click here. Thanks Rhonda! You would think I would have known about this but I didn’t. Like you I have one rental property, but I haven’t received any notification. Hi Barb, It seems that a majority of Seattle “landlords” have no idea about the City Councils ordinance.